Operating Theatre Live part of the company that bought you Anatomy Lab Live, are back in Manchester and with The Thomas-Lowde Group and Castles Education, are offering teachers, in all phases of education, the chance to get hands on practical experience of dissection for the classroom and up skill their dissection techniques. This curriculum aligned, practical course will take place on 19th March 2018 at City Labs in the city’s Oxford Road Science Corridor and is tipped to offer not only a first-rate continued professional development for Science Teachers but also an enjoyable day with excellent peer networking opportunities. 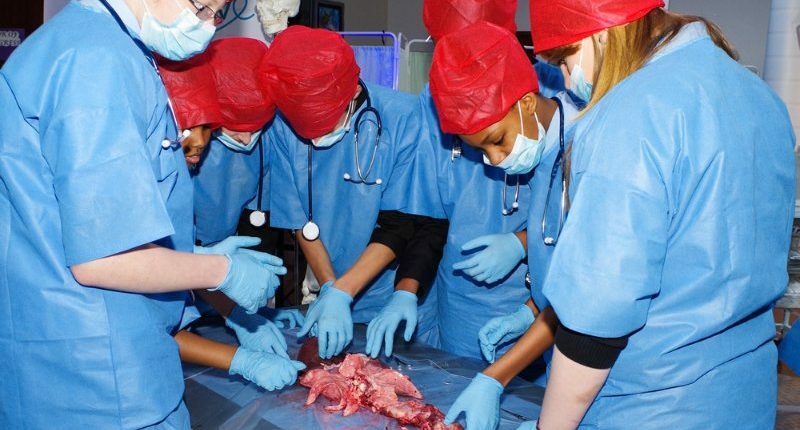 Teachers are promised a jam packed day covering the central nervous system, the cardiovascular system, the digestive system and the muscular-skeletal system as well as tips and information on sourcing, transporting, use and disposal and the law surrounding this. And of course they will get the chance to take part in practical sessions and ask questions throughout. Samuel Piri and his team have extensive experience in cadaveric dissection and delegates will be taught how to professionally dissect specimens such that they can follow exactly the techniques in pathology and post mortem in such a way they can collect quantitative and qualitative data for use in science lessons that feeds back into the BIOLOGY (KS2/GCSE/A LEVEL) specs. Dean Thomas-Lowde, Director of The Thomas-Lowde Group and Partner of Castles Education LLP said “We’re thrilled to be teaming up with Operating Theatre Live to bring this exciting and unique event to Manchester. If you’ve never experienced one of their sessions before, you’re in for a real treat! 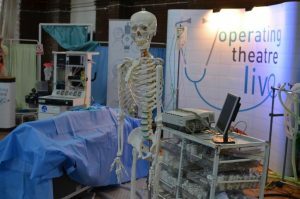 This is the world’s only portable operating theatre and it’s an incredibly valuable resource for science teachers. The hope is to build on the success in Manchester and develop nationally”. Delegates will leave armed with tips and techniques to improve biology learning in the classroom, confidence will be improved in both teachers and technical staff, it will give them the knowledge to ensure their departments are compliant with both UK and EU law and also offer free curriculum linked classroom resources. Early bird tickets are on sale until 24th November and you can find out more information by going to the Castles Education website. ONE MONTH LEFT TO VOTE FOR AN AMAZING TEACHER TROUBLED TEENS OR TEENS IN TROUBLE?